It may have snowed less than three weeks ago, but late May is the time for tomatoes – cross your fingers for me, okay? I went out to Tait Farm last week for my plants. I like the idea of starting my own seeds, but I’ve never had good luck with them, and the cat eats my seedlings. Tait Farm has excellent plants. I spent a long time walking up and down the row of heirloom tomato plants, reading all the descriptions and reminding myself that I do not have room for one of each. I settled on six heirloom tomatoes of all different sizes and shapes and colors: Brandywine, Great White, Yellow Pear, Red Pear, Cherokee Black, and Lime Green. The World’s Smallest Pea Patch has grown quite a bit: it’s now about four times the size, with enough space to give all the new plants a comfortable home. I couldn’t resist some other things while I was picking out plants. There are three hot pepper plants, and half a dozen herbs: two parsley and an oregano, a regular basil plant and two interesting ones: a Greek columnar basil visible at the back of the bed in the above photo, and this lovely African Blue Basil. I’m looking forward to pretty pesto with my rainbow of tomatoes. I also forsee pie in my future. Everything seems to be settling in nicely. I should even get a strawberry in the next day or two. Ace! It’s all going to be so pretty and tasty! 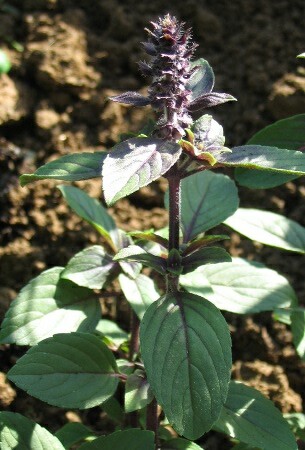 That basil is gorgeous too- I’ve never seen that kind before. You can keep basil going over the winter in a sunny window. 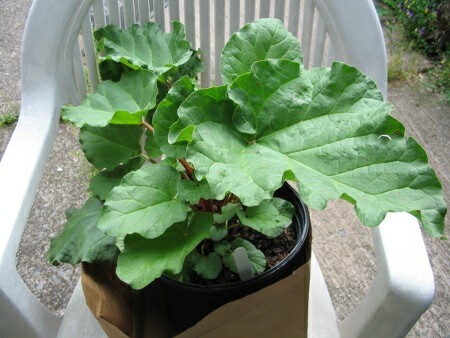 Just take cuttings and root them in water and plant in pots for the winter. 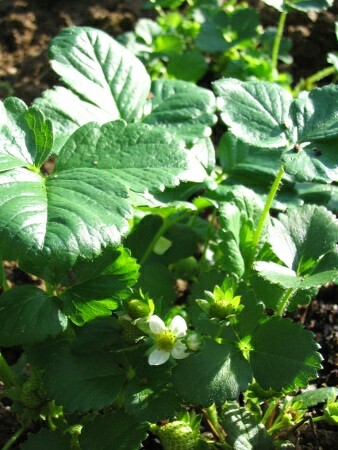 Then take new cuttings to plant for the spring. I’ve been keeping the same ones going for years – – way faster than seedlings.